The winery is located at Cruz de Piedra, Maipú, in the Central Region of Mendoza. It is a building from the year 1970 which was designed by architect ‘Chicho’ Pitela. The structure is of Mediterranean style with wide galleries, arcades and vitreaux which confer a really warm illumination and grant the place with an environment that reflects the one from where the vineyards are grown. The winery is surrounded byvineyards and olive trees that overlook the mountain range, from which Tupungato hill and the renowned Cordón del Plata must be highlighted. 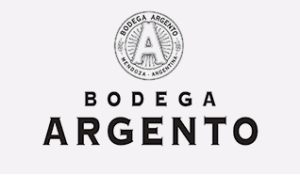 Bodega Argento embraces a constant spirit of improvement by linking technology with passion, art, knowledge and the Argentinian oenological tradition with the clear goal of respecting both sustainability and the environment. Bodega Argento is passionate about bringing the maximum expression of the terroir where the grapes come from into each of their wines. Their wines combine the complexity of the best terroirs in Mendoza with fruit purity.